Sebastian Barry has been chosen as the Laureate for Irish Fiction 2018-2021. PRESIDENT MICHAEL D Higgins has announced Sebastian Barry as the Laureate for Irish Fiction 2018-2021. Barry, an award-winning author, will hold the position for three years. He is taking over the role from Anne Enright. 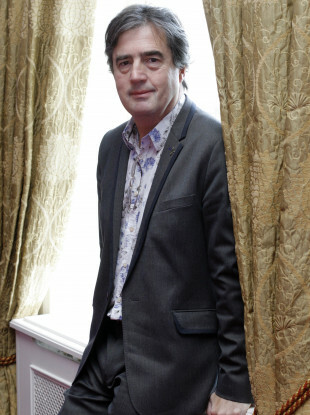 He is the author of The Secret Scripture and A Long Long Wait, and was awarded the honour by the Arts Council. The role seeks to acknowledge the contribution of fiction writers to Irish artistic and cultural life by honouring an established Irish writer of fiction, encouraging young writers, promoting Irish literature nationally and internationally, and encouraging the public to engage with high-quality Irish fiction. He added: “Writers reading their own work can make an illuminating music and show something important about it in the very act of ‘singing’ it. I would like to pay homage to this during the course of my laureateship. Also to acknowledge the part played by readers in the life of books – in many forms of course, the necessarily private, but also in the newer form of the book club, an activity that can work surely anywhere, even in prisons, in detention centres, in hospitals, places were a life might otherwise be temporarily circumscribed. The calls for nominations was made during the summer, and it took a rigorous selection process to choose the overall winner. Speaking about their choice, the international selection panel said that Barry takes Irish fiction “where it hasn’t been before”. “With transcendent insight as well as a storyteller’s ingenuity he teaches us to see the world differently, and to look more deeply into our own hearts,” they said. Next week, Sebastian Barry will participate in a public interview with playwright Billy Roche in Gorey Library, Co Wicklow, on Tuesday 13 February at 7.30pm. He will give a reading at Bridge Street Books in Wicklow on Thursday 15 February at 7.30pm. More details on the events can be found here. Email “This man will be the face of Irish fiction for the next three years”. Feedback on “This man will be the face of Irish fiction for the next three years”.